For everyone who’s grown tired of the summer onslaught of superheroes, save-the-world plots and explosions, Hollywood finally offers some decent counter-programming in the form of the brainy romance One Day. Based on the novel of the same name by British writer David Nicholls and adapted by the author, the film introduces us to two people in their early 20s who are about to spend July 15, 1988 – the night and day after their university graduation – together. Bookish Emma (Anne Hathaway) possesses a caustic wit that masks a deep insecurity as well as a schoolgirl crush on rich boy Dexter (Jim Sturgess), who radiates self-confidence and the surety that he’s going places in life because no one’s ever told him no. She wants to be a writer, and he wants to be famous. The two forge a connection despite their many differences and thus begins a close and often times combative friendship that flirts with true love. From there on, the movie looks in on Emma and Dexter on every subsequent July 15, from 1989 through to the present day, taking us through 20 years of July 15ths – St. Swithin’s Day in England- offering a series of snapshot portraits of two often separate lives, from young adulthood to early middle age. We see Emma grow in confidence, just as Dex’s self-esteem takes a hit with the failing health of his mother (the radiant Patricia Clarkson) and his fading television career. From year to year, we also get to observe how their life and relationship choices, both sensible and foolish, leave lasting impressions on each of them and inform their bond with one another, as July 15 becomes the most important day in both their lives. Danish-born director Lone Scherfig has tread these waters before, namely with her spot-on portrayal of keening adolescent love in 2009’s Oscar-nominated An Education. With One Day, she continues her track record of sure and insightful direction by including accent notes in the story that quietly release the pent-up power of a relationship that grows and strengthens over time without relying on typical Hollywood histrionics or rain-soaked declarations of love. This is a movie about a life that happens while you’re busy making other plans and even despite the star-crossed lovers undertones; the central relationship feels surprisingly real. 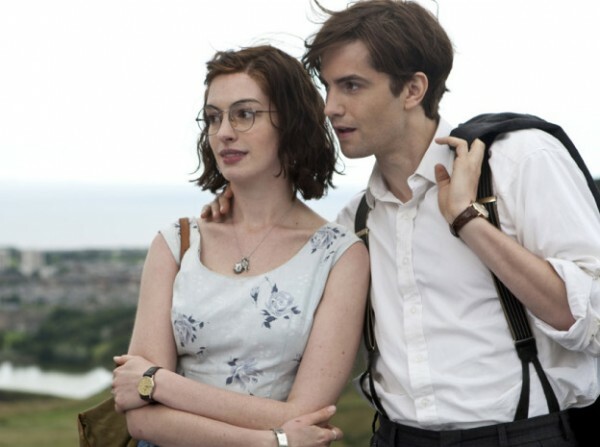 Hathaway and Sturgess have an undeniably lovely chemistry both as friends and lovers, and despite the fact that Hathaway’s accent takes a tour across the British Isles, they both do well with the material, infusing their realistically flawed characters with charm and relatability. The supporting cast is also a treat to watch: Clarkson plays Dex’s doting mother with grace and humour, while Romola Garai (Atonement) and Rafe Spall (Shaun of the Dead) take on the thankless roles of the significant others that are not meant to be and elevate the limited screen time they’re given. On the downside, some may find the rapid passage of time and frequent scene changes jarring and too quick to really settle in with the characters on a truly deep level. Checking in with Emma and Dex just once a year could have easily been a momentum killer and yes, occasionally certain scenes will leave you wanting a just little bit more. Ultimately though, the gimmick works because the actors sell it. They will you to believe in them and in Emma and Dex’s troubled yet transformative relationship. It’s a simple story that feels like a sweeping romance and that’s enough to make One Day well worth two hours at the cinema this weekend.